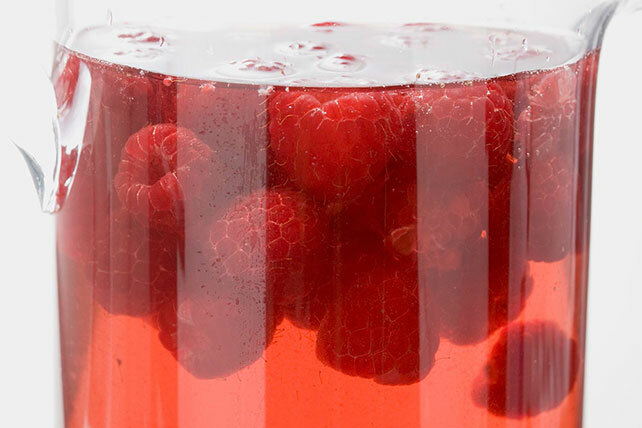 Add raspberry lemonade flavor drink mix and a cup of raspberries to a bottle of cold ginger ale for a refreshing beverage that serves eight—deliciously! Add ginger ale to drink mix in 2-qt. plastic or glass pitcher; stir until mix is dissolved. Stir in 1 thinly sliced lemon before serving.